The title for this article came from a conversation I had with the Grand Junction City Manager, Greg Caton, at its municipally owned Tiara Rado Golf Course. I recently discovered that was not merely a clever marketing tagline, but the essence of this beautiful thriving Western Colorado community located along Interstate-70. Mt. Garfield forms a magnificent backdrop for this peach orchard. Caton explained that Grand Junction, as it did a couple of decades ago with an influx of Californians, is now experiencing an influx of Eastern Coloradoans who enjoy the clean, natural outdoor lifestyle albeit without the congestion and high cost of living now present is the well-populated eastern section. What’s more, while Grand Junction boasts a milder climate with golf nearly playable all-year long, the trek to all the best skiing in Colorado from Grand Junction does not come with the traffic or congestion that most in the State encounters when driving west to the very same places! 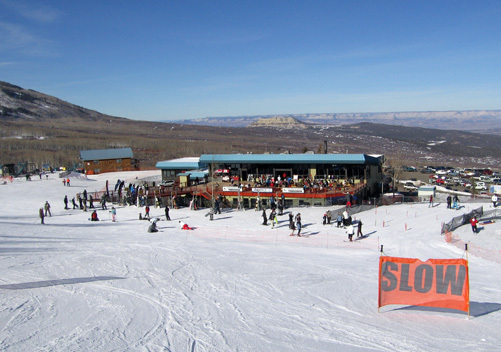 Skiing at beautiful Powderhorn Ski Resort is convenient to Grand Junction. From its trendy, comfortably walkable and revitalized downtown with its delectable eateries to touring its neighborhoods with many renovated charming homes, witnessing its modern health facilities, flying out of its beautiful airport with a surprisingly nice choice of flights, or learning of its rapidly growing Colorado Mesa University, you can quickly conclude that something exciting is happening in Grand Junction, but enough of the Chamber of Commerce stuff. Grand Junction is also fun! 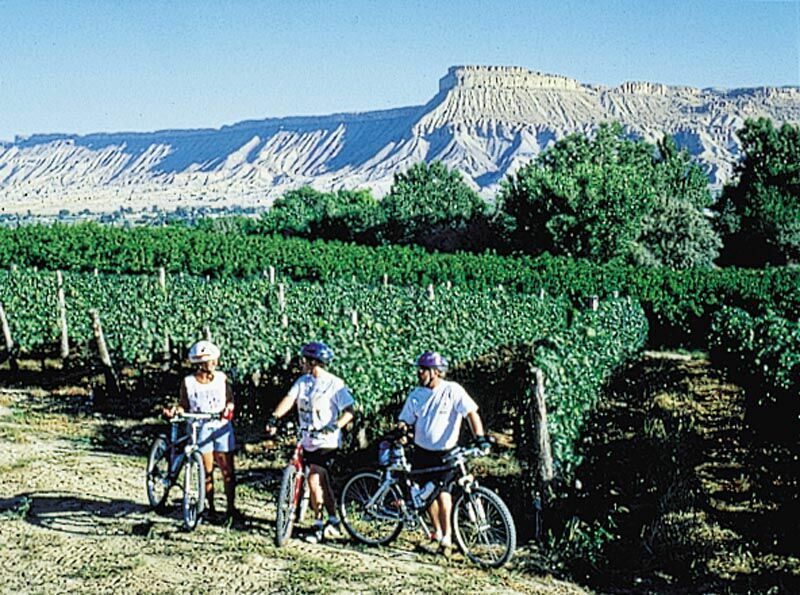 Bike from vineyard to vineyard in the Grand Junction area! When visiting Grand Junction, be sure to bring your gear and sunscreen. One fella recently was recorded doing seven, yes seven different sports on one March day. Illustrative of just some of the area’s outdoor activities, he began snowmobiling on Grand Mesa, the World’s largest flat top mountain (also great for cross-country skiing). Then he followed that by skiing (or snowboarding) at Powderhorn Mountain Resort and road cycling from the mountaintops to the riverside plateaus adjoining vineyards (remember Colorado’s Wine Country!). Next like him, you can motocross or ATV along the flat desert lands north of the City and don’t miss the many mountain biking trails. 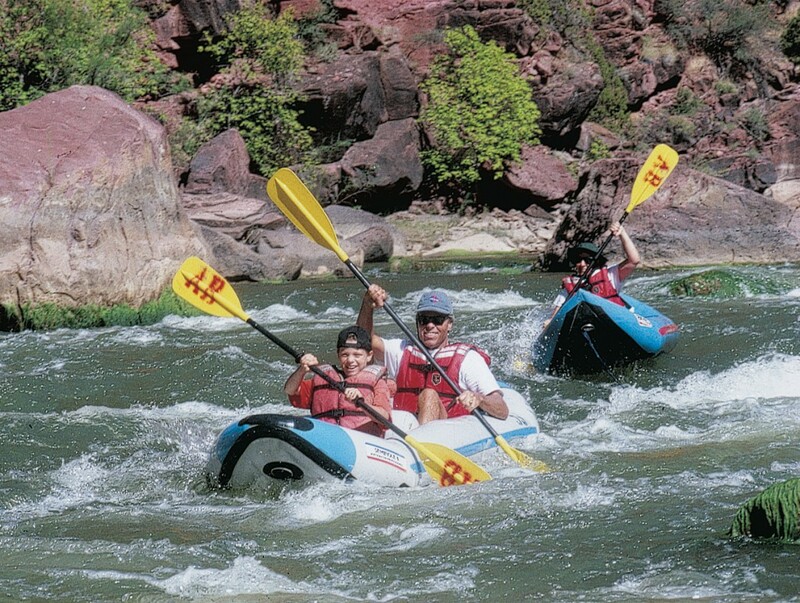 Afterwards, you can jet boat, raft, or float on the river. Finally our hero was wakeboarding (or do you want to do stand-up paddle boarding?). 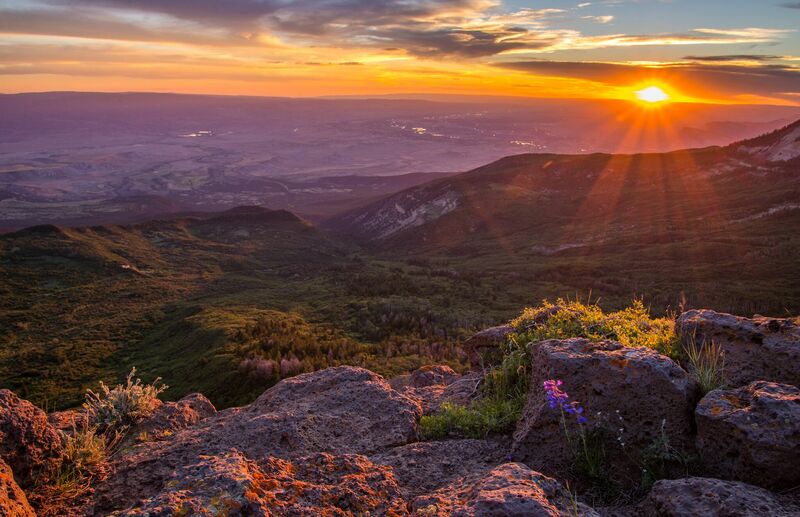 Some call Grand Junction the best biking town in country for its variety, beauty, and events! The Colorado River passes through the Grand Junction area. Now I’ve left out a host of other things like camping, fishing, hiking, rock climbing, etc. And did I mention one of my favorites, golf? Friend and fellow golf writer, David Finn, lists The Golf Club at Redlands Mesa in Grand Junction as one of the “Top Ten Courses in the U.S. That You Can Play.” As a uniquely dramatic and inspiring desert golf course, I quite agree. In fact, it’s a “Bucket List” golf course that you will want to experience. Dramatic elevated tee shots and vistas are only part of the challenge of this, one of golf course architect Jim Engh’s best creations. The conditioning is typically excellent and it’s a demanding and most memorable layout. 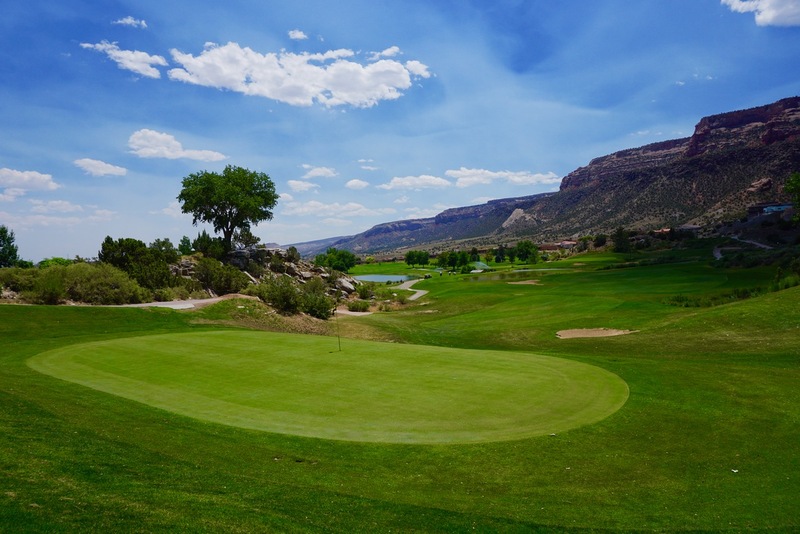 Because of it’s slightly lower elevation, Grand Junction offers somewhat milder climates and you might expect to play about eleven months a year so you will also enjoy playing the municipally-owned Tiara Rado Golf Course. Fashioned in a wooded, residential area with housing only on the perimeters, the smallish push-up greens make scoring a bit more challenging than its 6,442 yards might suggest. At 441, 440, and 464 yards, the par-fours spanning the 9th, 10th, and 11th pose the most challenging stretch, but I count the 401-yard 17th and drivable, but dangerous 301-yard finisher as the most interesting. 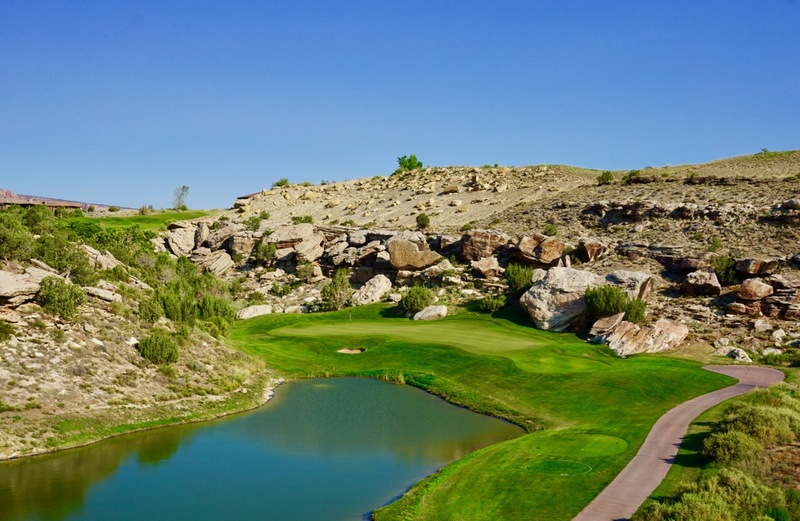 Mike Mendelson, the PGA Head Professional at Tiara Rado, says that the area is popular with both avid and recreational players and great for ‘buddy trips” as there are easily at least five other very good courses within a 90-minute drive making Grand Junction an attractive hub for golfers nearly year-round. And as mentioned, Grand Junction is Colorado’s Wine Country. Though smaller and newer, it lacks the capacity to supply much more than the region though they do ship where available. 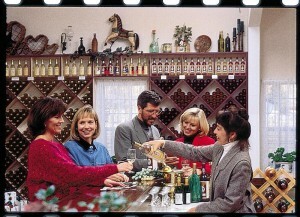 Its 23 wineries nonetheless offer delights wine connoisseurs will enjoy exploring. For the more adventurous and athletic, there is even a bike path called the “Fruit and Wine Byway” that meanders through the orchards and vineyard and showcases the spectacular vistas of the Grand Valley. It encompasses more than thirty stops if you include the fruit stands, farms, and orchards! 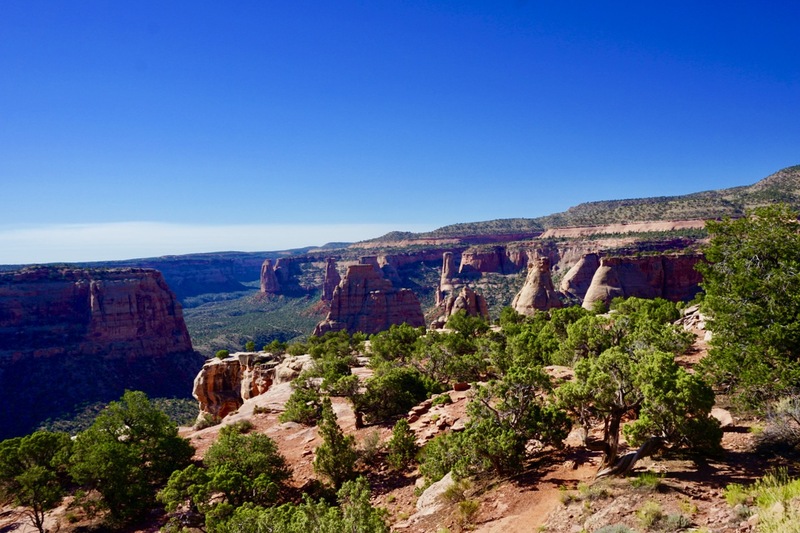 Finally, visiting Grand Junction without visiting the Colorado National Monument is as writer Rich Skyzinski says, “Like visiting Paris without seeing the Eiffel Tower.” In my opinion, it is easily America’s most overlooked and spectacular natural attractions. Situated just an easy 20-30 minutes drive from any part of Grand Junction, it is a “mini-Grand Canyon” though able to be taken in and appreciated in less than half a day if pressed for time. From its perches, the views of its canyons and Grand Junction beyond are simply sublime and change in perspective depending upon the viewing location and time of day. Your camera is prerequisite equipment and preferably you can take longer to enjoy and hike in and around it. Grand Junction is so much more than meets the eye. If nearby, avoid the temptation of just passing through. Linger longer and as I did, you will discover a fascinating destination worthy of many returns or even relocation!